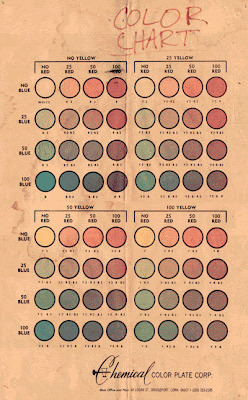 The Golden Age of comics was from 1838 to 1950 and I recently ran across these comic book color charts from that era. 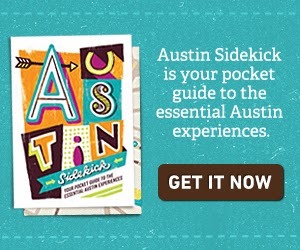 If you're looking for some mid-century paint colors, these could be an interesting place to start. 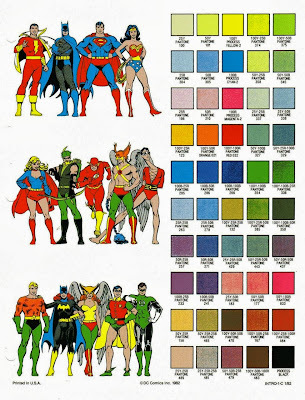 Or, if you wanted to do a super hero nursery in a mid-century home these could give you a perfect mid century modern color palette. I also ran across a comic book color chart from the modern age of comics, after they switched to Pantone coloring. 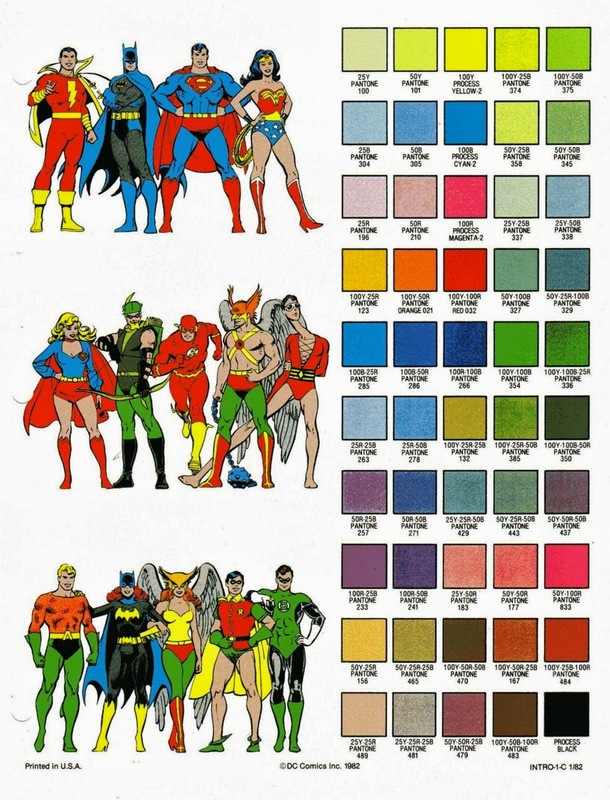 If you are going to do a super hero nursery, this will give you the perfect paint colors, especially if you use Pantone paints. The Comico color chart is actually from the mid-80s. 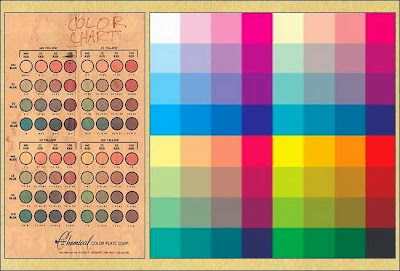 The 64-color palettes would be from mid-60s or so. Superman, Batman, Captain Marvel, and Captain America all hail from the Golden Age of comics, but Spider-Man, the X-Men, and the Avengers didn't get kicking until about 1963.